Having difficulty paying for PKU medical foods? Are you having difficulty paying for PKU medical foods (formula and low protein foods)? As we all know, without insurance coverage, the formulas and special low protein foods for PKU can become a very significant financial burden for PKU families, while at the same time these products are absolutely essential to maintaining a healthy PKU diet. The GREAT news is that, in Georgia, no one should have to sacrifice medical foods because of cost. 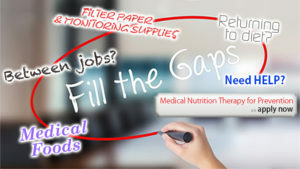 That’s because in 2016 the State Legislature passed a bill authorizing the Medical Nutrition Therapy for Prevention (MNT4P) that designates money specifically to help families dealing with PKU and other metabolic disorders pay for medical foods (formula and low protein modified foods) and even including filter papers/monitoring, supplies, etc. This program is being administered by Emory. If you have a need, all you have to do is apply. Though it can be used to help in situations where there is no coverage available, this program is not necessarily “needs based” in the traditional sense and this program is not just for those who don’t have insurance coverage. Maybe you just changed jobs and your insurance situation is in flux. Maybe you have just moved to the State and haven’t yet been able to obtain appropriate coverage. Maybe you have been “off-diet” and have been reluctant to return because of the cost. Maybe your insurance company has denied coverage or there is confusion over what is covered or medical foods are only partially covered. If so, this program is for YOU! This program can “fill the gaps” until things are straightened out. It’s simple to get the process started. Simply fill out this online form. Once your submission has been received, you will be contacted by a representative of the program to follow up. Or, if you’d prefer, you may contact Mary Lauren Salvatore, MPH, CHES, 404.778.8527 or Tammy Scott, 404.778.8497 directly, or you can download and fax or mail in this form. This is a brand new program that Georgia PKU Connect and others have fought hard to obtain. We want to demonstrate to the lawmakers that the program is justified and it is helping families who have a critical need. So don’t hesitate; Apply Today! For more information about the MNT4P Program, click on the image above.